Dr Nicole Nelson examines how children learn about and understand emotional expressions and other non-verbal information. Her research examines how we integrate facial, postural and vocal expression cues, how children attend to and learn about new emotions and non-verbal information, and what our emotional expressions look like in daily interactions. 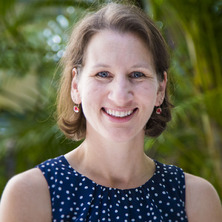 Dr Nelson received her PhD from Boston College, was an NSF-funded Postdoctoral Fellow at Brock University, and joined the School of Psychology at the University of Queensland in 2014. Putting motion in emotion: do dynamic presentations increase preschooler's recognition of emotion?